Paper Pawz: Simon Says: Make your Own Background! Simon Says: Make your Own Background! This week Simon Says: Make your own Background! The design team is featuring Concord and 9th products you don't have to use them but if you have them we would love to see them! I decided to create my background using the Concord & 9th Happy Ballons stamp with a rainbow assortment of inks. 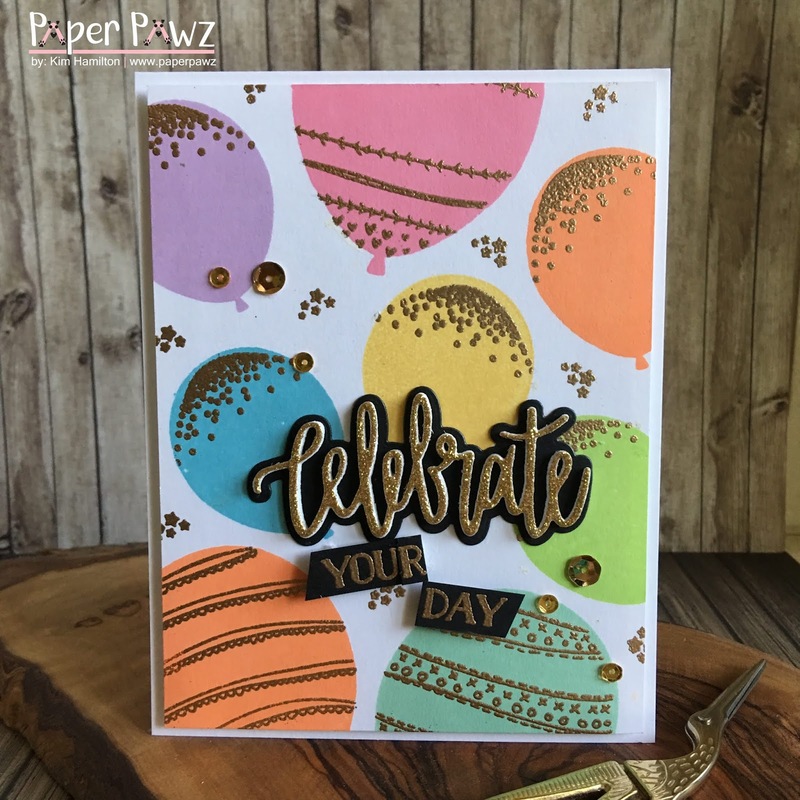 I used the balloon add-ons also from that set and used gold embossing powder. There were some white spaces left that were bothering me so I opted to use a star cluster from the Mama Elephant Me and My Dragon set also with gold embossing powder. I trimmed my panel to 4 x 5.25 to give a little border. 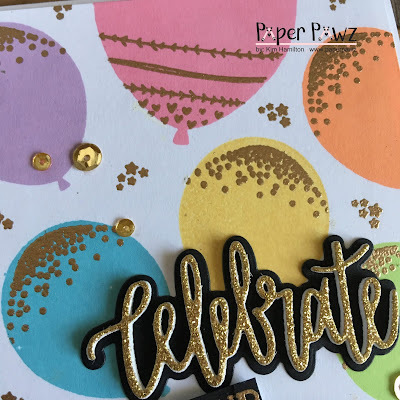 For the sentiment I chose the Neat and Tangled Celebrate die with Simon Says Stamp gold glitter paper and Lawn Fawn Black Licorice cardstock. For the additional sentiments I used sentiments from the Concord & 9th Wonderful Florals set and just cut the letters to make the Your Day. 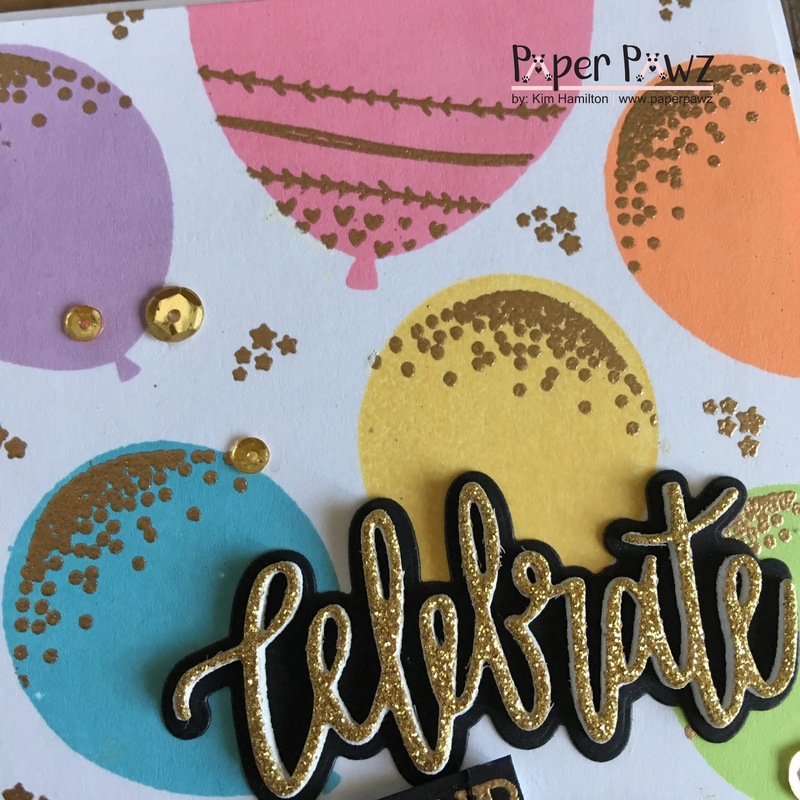 To finish off my card I used some Pretty Pink Posh gold sequins! 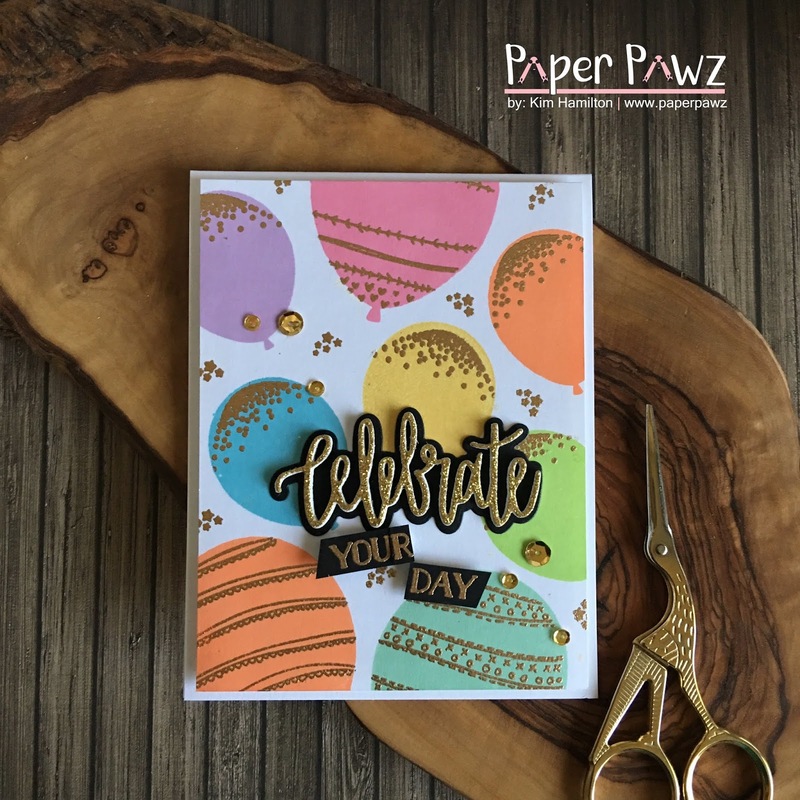 Simon Says: Anything Goes featuring Stampendous! A Blog Named Hero - Sparkle and Shine!